This charming, amazing and very large villa is situated in a serene environment close to the lively town of Alhaurin el Grande on the edge of a beautiful forest in La Chicarra. This property must be seen, set in the beautiful Guadalhorce Valley, where one can find a paradise for peace and tranquility. The house can be used as a large family home or a casa rural like a Bed & Breakfast (what it is at the moment). 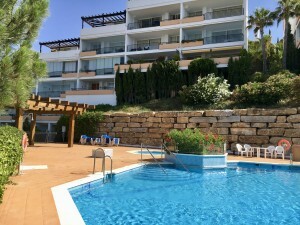 This property is build with top quality materials and in perfect condition located in the best area of Alhaurin el Grande. The house and garden are low maintenance. The property is completely enclosed and has a large entrance gate. Passing the gate you will have a glance of the house immediately, through the pergola with beautiful colored bougainvillea you walk down to the main entrance of the house. On the ground floor you will pass the entrance hall into a fully fitted kitchen. You can find the spacious open plan living room with rustic terracotta floors really bright and airy, with a fireplace and dining area which lead out to the very large pool (15m x 5m) and several sunny terraces. On the same level there are 5 precious large bedrooms, all with en-suite bathrooms in traditional Andalusian style. One of these rooms has an open fireplace and a private terrace facing the Málaga bay. All the rooms are provided with hot and cold airconditioning. On the lower level you could have different possibilities. Currently there is one studio/apartment, facing the garden, with a living room, bedroom a small kitchenette and an bathroom. Enclosed to the studio/apartment there is another apartment with a separate bedroom, bathroom, living room, kitchen and a cosy dining room. There are lots of possibilities of reforming to have more bedrooms. If you would like to run the property as a Bed and Breakfast this could be the private area of the owners. Going outside we find several charming terraces, two patios and low maintenance garden with a fantastic pool area, all south facing, and perfect to enjoy the sunny weather. Near the pool you will find a covered terrace and a nice lounge area with a bar and BBQ. To enjoy the sun at the fullest and the most beautiful views there is a large roof terrace on top of the villa. The property has internet access and a satellite dish for all European channels. 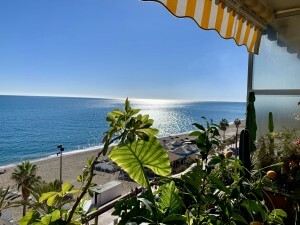 Located just a 20 minutes walk into the centre of Alhaurin el Grande and good acces to the Marbella/Málaga road with a 25 minutes drive to the beaches and to the airport.